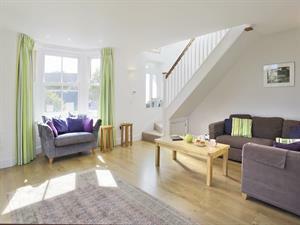 Hamish Place Self-cateringTastefully laid-out and well furnished, Hamish place enjoys views over the Church green. With a much desired parking space and central Southwold location, this property is an ideal choice for a holiday on Suffolk's Coast. A solid dining table with comfy chairs is perfect for dining with friends and family. A modern and well-presented in the centre of Southwold. Set in a quiet location yet with all amenities close by, there is also a car parking space too! Hamish Place offers weekly bookings starting on Friday.